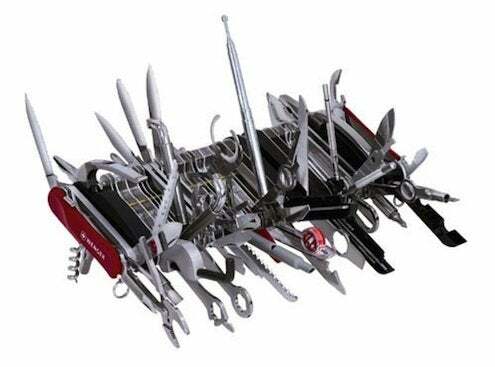 A century ago, knife-maker Wenger (of Swiss Army Knife fame) started a debate that only got louder in 1983 when Tim Leatherman, the eponymous inventor of his multi-tool, started selling pocket toolboxes. The question is how many tools are too many in a multi-tool? Or conversely, how many are too few? Sages wiser than me haven’t divined the truth, so I won’t try. 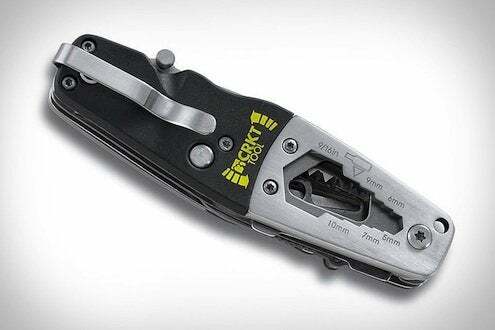 The issue has surfaced again with a new variation from CRKT Tools (Columbia River Knife and Tool)—the multi-tool 9200 designed by Ed Van Hoy and Tom Stokes. Just four appendages fold out of the burly case: a Phillips screwdriver, a flat-tip driver, a 2.25-inch knife and a 2.5-inch saw. Locking liners hold all of them safely, and the two drivers are spring-loaded, flashing out with amazing speed at the touch of two small buttons on the case. Thumb studs bring out the blades. The 9200 comes with a magnetic connector that attaches nine heads onto the Phillips driver shaft. Die cuts on both sides of the case make it an acceptable box wrench for a variety of nuts and bolts, metric and standard. (And each is also billed as a bottle opener). Last, there’s a four-gauge wire stripper that cleverly uses the knife. 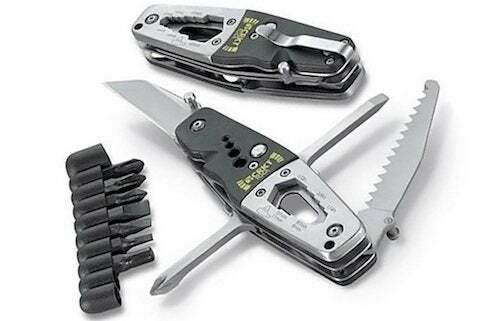 Compare this almost Shaker-simple multi-tool with Wenger’s world-record, $1,000 pocket porcupine, below. Surely between the two we have the alpha and omega of the category. I won’t make a judgment here other than to say CRKT has priced it right—$50. The whole package is very robustly assembled; it’s not going to fall apart too soon. On the other hand, the 9200 is a big, thick slug of metal, weighing 5.1 ounces without the case or ancillary driver bits. Is it heavy and skimpy or beefy and just right? You tell me in the comments.